In many of J. S. Bach's cantatas, passions and oratorios, the oboe - and its various relatives such as the oboe d'amore and oboe da caccia - plays a prominent role. Using it as his preferred obbligato instrument, Bach obviously cherished the versatility of the oboe and selected it to accompany arias that deal with grief and heavenly joys, repentance and pastoral calm. It is therefore odd that no major concertante works for oboe by Bach have survived - or have they? Researchers have for a long time thought that his keyboard concertos were originally composed for other instruments, and much evidence points to certain of them being intended for the oboe, or oboe d'amore. 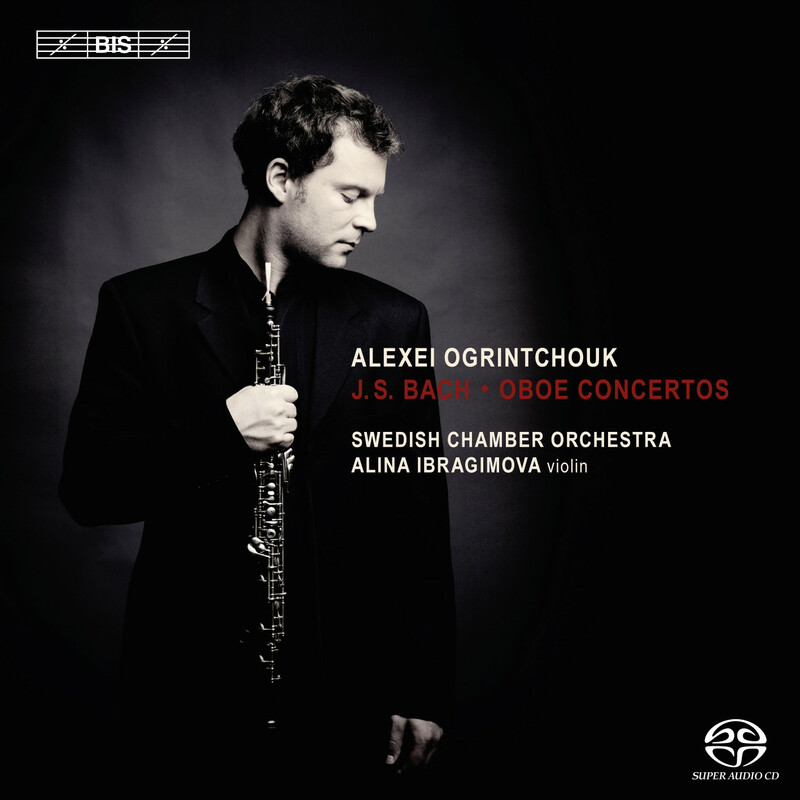 Four such works have been gathered here, together with the Adagio from the composer's Easter Oratorio, in performances by Alexei Ogrintchouk, one of today's outstanding oboists. Starting to perform internationally at the age of 13, Ogrintchouk is currently principal oboist of the Royal Concertgebouw Orchestra, combining the position with solo engagements around the world. On his first solo disc for BIS he also directs the Swedish Chamber Orchestra himself, and is joined by dazzling young violinist Alina Ibragimova in the well-loved Double Concerto in C minor. Concerto in F major for oboe, strings and b.c. Concerto in D minor for oboe, strings and b.c. Concerto in A major for oboe d’amore, strings and b.c. Concerto in C minor for oboe, violin, strings and b.c.